6 February 2017 – Last year I read two books by Stephen Harrod Buhner that challenge the modern-day narrative of pharmaceutical management of health as it pertains to bacterial and viral infections. These books seriously opened my eyes to a whole new side of treating disease that I had not previously given serious consideration. I decided it was too overwhelming to discuss both books at once, so this post is a summary of my understanding of his book on herbal antibacterials, why they’re needed, and what I’ve learned in my own life since experimenting with herbal medicine. Technological medicine is always judged by its successes, all other approaches by their failures. It is an intellectually dishonest approach designed to control the narrative by those in power. What is true is that all approaches have their strengths and their weaknesses. There is no approach without a shadow side. Those who fanatically support only one approach to anything — it doesn’t matter if it is medicine, science, feminism, vegetarianism, politics, anything — act within culture as ideological vigilantes who can only see those who think differently as “the other.” No society that supports freedom or the empowerment of its citizens should countenance it. Stephen Harrod Buhner comes from a family of healers, including a former Surgeon General of the United States under Eisenhower and Kennedy, and is the award winning author of twenty books. He is considered one of the foremost authorities on herbal medicine, has appeared on or in the New York Times, CNN, and Good Morning America, and continues to lecture yearly around the United States. From reading several of his books, especially the one highlighted in this post, he backs everything he says with hard evidence in published studies from all around the world and corroborated by his personal experience. His work is compelling and his words challenge our understanding of modern medicine. Bacteria are one of the Earth’s oldest living creatures, surviving extinction event after extinction event. They saw the rise and fall of dinosaurs, the rise of humans, and no doubt will live to tell the tale of humanity as well. There’s a reason bacteria have survived so long – actually, there are several. Buhner describes in overwhelming detail the several adaptive mechanisms bacteria use to protect themselves against the constant onslaught of antibiotics. Efflux Pumps – In lamen’s terms, bacteria can use a sort of sump pump that literally pumps out the antibiotics as soon as they enter the cell. Some efflux pumps target specific antibiotics and others target a wide range of them (hence drug-resistant vs multi-drug-resistant). Super Adaptability – Many bacteria have actually evolved to not only survive, but thrive, in antibiotic-rich environments such as hospitals. [Pages 16-17] If you’ve ever visited Yellowstone National Park, it should be clear that bacteria can often thrive in the unlikeliest of environments, and by surviving in these seemingly inhospitable environments they are thus fortified against the very thing that made the environment inhospitable in the first place. While reading this book it literally made me think of The Borg from Star Trek. They can adapt to anything thrown at them, they quickly and effectively share resistance information with each other, and they learn and evolve rapidly. The result for bacteria, as Buhner explains, is a rapid rise in drug-resistance. Not only have bacteria become more resistant to treatment, some bacteria can no longer be treated by any antibiotics whatsoever. Some diseases once thought cured are even starting to re-emerge. [Pages 21-25] Like a snowball gaining momentum, this problem is continuously compounded by the practices of not just hospitals, but also animal factory farms where it is said that at least half of all antibiotics in the United States get used. In addition to factory farms, 150 pounds of antibiotics are pumped into every acre of commercially raised ocean salmon, and between 40,000 and 50,000 pounds are sprayed onto fruit trees (enough antibiotics to treat 22.5 million people – each year!). The [disgusting] results manifest themselves in stats such as the 42% increase in antibiotic content of Americans’ urine in just the three year period from 2003 to 2006 alone. [Pages 25-32] No wonder bacteria are evolving! They’re literally constantly subjected to it and have no other choice. Buhner is fond of saying throughout his books that “plants are nature’s chemists.” Whereas we animals can run, hide, and fight, plants cannot. So, they have made genius use of chemicals to fight off the threats they face. Often times these threats are bacteria and viruses, no different than us. To combat these, they have built in defense mechanisms through very complex and rarely understood chemical synergies that thwart unwanted infections. In fact, one of the principal differences between pharmaceutical and herbal antibiotics is that whereas pharmaceuticals use one (or very few) chemicals that are easy for bacteria to adapt to, plants employ countless different chemicals that makes it very difficult for bacteria to adapt. The reason it is so hard for us to understand plant chemistry is quite possibly the same reason it is so hard for bacteria to figure them out either. Buhner divides herbs discussed in this book into three categories: systemics, non-sytemics, and synergists. For each herb, Buhner goes into great detail regarding the history of each, where it is found, how to grow it, where to buy it, how to administer it medicinally, where it is contraindicated, what adverse affects it may have, how it interacts with pharmaceuticals, the active chemicals and exact chemical processes by which it works, and a summary of every significant clinical paper written on it. ALL the herbs mentioned in these sections are particularly effective against drug-resistant and multi-drug-resistant bacteria that often times can find no cure using pharmaceutical antibiotics. The man is not sick because he has an illness; he has an illness because he is sick. Below are some confirmatory experiences I have had regarding a small selection of herbs. Buhner describes licorice as a potent synergist in that it amplifies the effects of other chemicals. [Pages 216-221] To try it out, I was once taking licorice in combination with some other herbs to help fight off an incoming cold. I had no way of knowing if it really was helping the other herbs become more readily absorbed by my body, but then I had a few drinks and let’s just say those few drinks unexpectedly affected me much more strongly than they should have. I realize this is pretty weak anecdotal evidence, but I’m convinced the licorice facilitated heightened absorption into the bloodstream. Ginger is described by Buhner as a synergist that increases the effects of other herbs and pharmaceuticals by relaxing blood vessels and increasing circulation, which allows for better transport of constituents throughout the body. 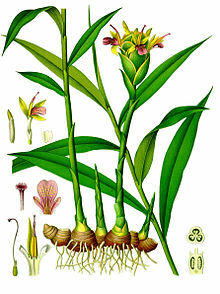 It’s also excellent at boosting the immune system [2, Pages 227-231] and is a powerful anti-fungal [3, Pages 294-298]. Hoping to put its powerful anti-fungal qualities to the test, I have started regularly drinking it in a teas and let’s just say that my toenails are looking much better since I started – proof positive as far as I’m concerned. During my wife’s last pregnancy, she began complaining about back pain. 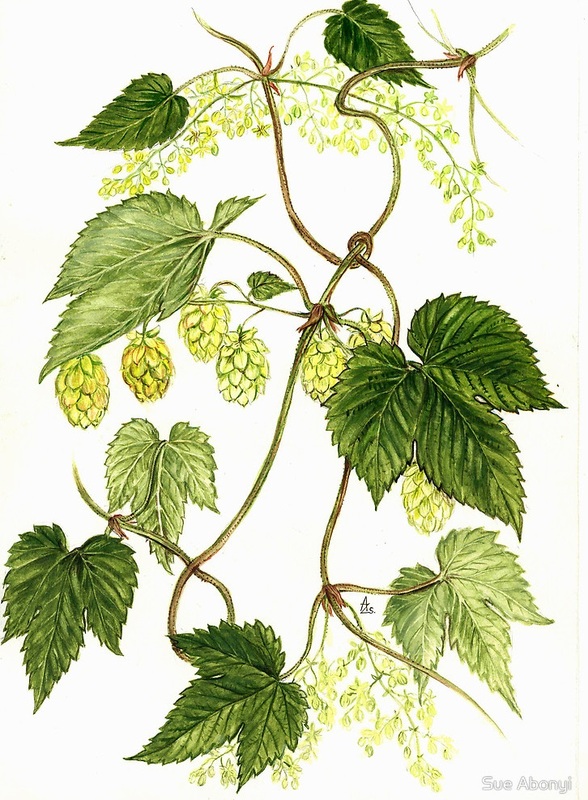 Nettle is primarily recommended during pregnancy because it is high in vitamins A, C, D, and K, as well as calcium, potassium, phosphorus, iron, and sulphur. In particular, this promotes an easing of cramps and other muscle spasms, and prevention of hemorrhage (from the vitamin K). 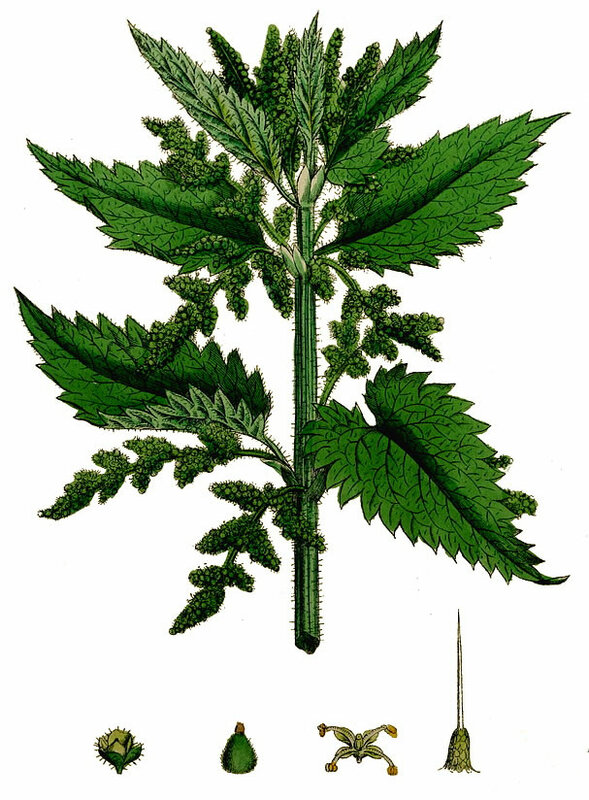 [4, Pages 20-21] Corroborating its usefulness for backache, Nettle is also recommended for arthritis perhaps because it contains 47 parts per million of boron, a chemical recommended for use by the Rheumatoid Arthritis Foundation. [3, Pages 272-276] Indeed, shortly after working nettle infusions into her regular diet, my wife’s back pain drastically subsided, proof positive for us! 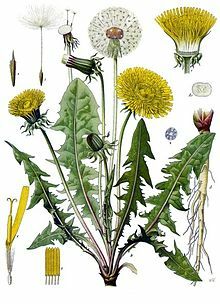 Why do modern doctors immediately write off any herbal medicine as the equivalent of fantasy witchcraft when so many people have benefited from them over thousands of years? Perhaps it is because enough generations of doctors have passed where now there is no understanding whatsoever of herbal medicine. In the section on Cryptolepis, Buhner refers to proof that this herb is stronger than the pharmaceutical antibiotic chloramphenicol and that it works practically without fail on drug-resistant staph infections unresponsive to multiple antibiotic regimens. However despite this, several studies have shown that the herb is ineffective, not because it actually is ineffective but because those conducting the studies did not understand that vinegar is required to be added to the solvent because the root constituents do not dissolve well in alkaline water. [2, Pages 85-96] This basic misunderstanding of the effective use of the herb has led to complete dismissal of its usefulness. This is just one example of a larger trend in herbal misunderstanding. The discovery of penicillin and subsequent revolution in treating disease through the use of antibiotics was certainly a game changer in human history. It’s no wonder we cast aside the old medicines for the new. However, as these medicines become less and less effective, perhaps it is time we as a species revisit the non-pharmaceutical options. The most successful athletes cross-train because they know playing other sports somehow helps their game. Similarly, doctors would do well to cross-train with herbal medicine, as it would further enrich their understanding of medicine in a way that can only improve their own practice. Simply because antibiotics can be miracle-working cures does not mean that herbs can’t be equally as miracle-working if they are properly understood and implemented. It’s my belief that as this story unfolds, those doctors who become experts in both pharmaceutical and herbal medicine will be the best equipped to most effectively treat the bacterial infections of the future. Additionally, it’s my belief that we should seriously reduce our over-use of antibiotics. It seems both intuitive and indisputable to me that over-subjecting bacteria to antibiotics makes them more resistant, therefore reducing the effectiveness of our most valued drugs, and that those drugs should be reserved for only the most critical of applications. A life-threatening infection or a sterile operating room may be two good applications, but so many other applications are probably unnecessary. Hand sanitizers, dish soap, factory farms, fruit orchards, and salmon farms probably qualify as over-use. What I have personally taken away from this book is, first and foremost, an appreciation for alternatives to pharmaceuticals. Second, I have made it a point to reduce or eliminate wherever possible my own individual use of antibiotics. Third, I have started to read, learn, and experiment with herbs at home. I’ve begun learning how to enrich my diet with herbal supplements through infusions, tinctures, and home-brews, and I’ve started lists of herbs that I one day wish to grow on my future homestead both for my family and my animals. The better we can re-learn the lost wisdom of herbal medicine the quicker we can give ourselves additional options for keeping ourselves, our animals, and our families safe no matter what comes our way.